This covers the, (more modern) Route based VPN to a Cisco ASA that’s using a VTI (Virtual Tunnel Interface). These were typically used with routers, because routers used Virtual Tunnel Interfaces to terminate VPN tunnels, that way traffic can be routed down various different tunnels based on a destination, (which can be looked up in a routing table). Cisco ASA now supports Virtual Tunnels Interfaces (After version 9.7(1)). Can be used for VPNs to multiple sites. Requires Cisco ASA OS 9.7(1) So no ASA 5505, 5510, 5520, 5550, 5585 firewalls can use this. These came first, essentially they work like this, “If traffic is destined for remote network (x) then send the traffic ‘encrypted’ to local security gateway (y).” Note: Where Local Security Gateway is a firewall at YOUR site, NOT in Azure! This is the way traditionally VPNs have been done in Cisco ASA, in Cisco Firewall speak it’s the same as “If traffic matches the interesting traffic ACL, then send the traffic ‘encrypted’ to the IP address specified in the crypto map”. Can be used on older Cisco Firewalls (ASA 5505, 5510, 5520, 5550, 5585). Can be used with Cisco ASA OS (pre 8.4) IKEv1 only. 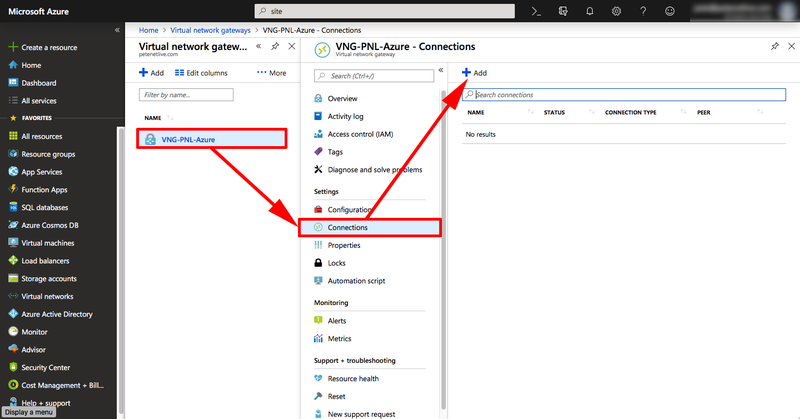 Can only be used for ONE connection from your Azure Subnet to your local subnet. Note: You could ‘hairpin’ multiple sites over this one tunnel, but that’s not ideal. You may already have Resource Groups and Virtual Networks setup, if so you can skip the first few steps. 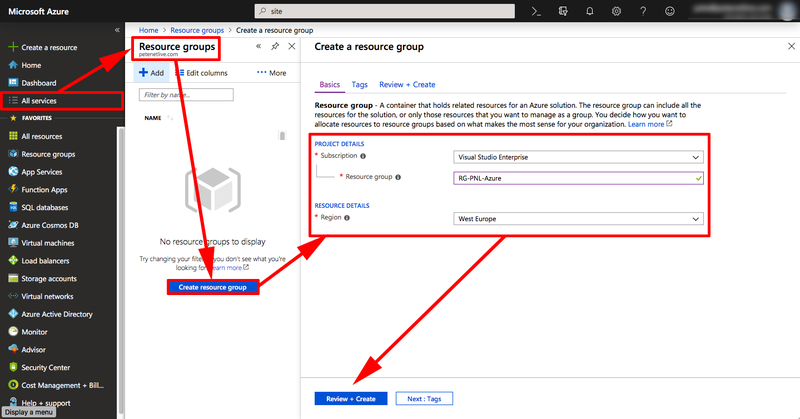 Sign int0 Azure > All Services > Resource Groups > Create Resource Group > Give your Resource Group a name, and select a location > Create. OK, if you’re used to networking this can be a little confusing, we are going to create a virtual network, and in it we are going to put a virtual subnet, (yes I know this is odd, bear with me!) It’s the ‘Subnet Name ‘and ‘address range‘ that things will actually connect to, (10.0.0.0/24). All Services > Virtual Networks > Create Virtual Network > Give the Virtual Network a name, a subnet, select your resource group > Then create a Subnet, give it a name and a subnet > Create. To further confuse all the network engineers, we now need to add another subnet, this one will be used by the ‘gateway’. If you are a ‘networking type’ it’s part of the virtual network, but is more specific than the subnet you already created. With your virtual network selected >Subnets > +Gateway Subnet. You can’t change the name, (you could before, then it wouldn’t work, which was strange, but I suppose it’s fixed now) > put in another network that’s part of the Virtual-Network, but does not overlap with the subnet you created in the previous step > OK.
All Services > Virtual Network Gateways > Create Virtual Network Gateway > Name it > Route Based > Create New Public IP > Give it a Name > Create. Note: This will take a while, go and put the kettle on! Make sure all running tasks and deployments are complete before continuing. You can do the next two steps together, but I prefer to do then separately, or it will error if the first one does not complete! Now you need to create a Local Security Gateway. (To represent your Cisco ASA). All Services > Local Security Gateway > Create Local Security Gateway > Name it > Supply the public IP > Supply the Subnet(s) ‘behind’ the ASA > Select your Resource Group > Create. 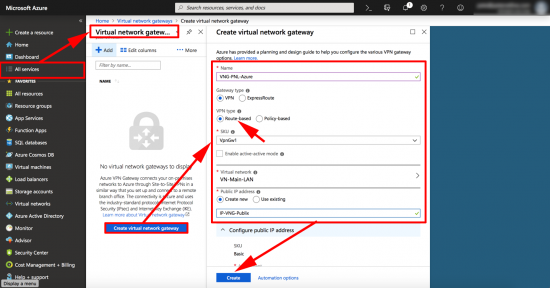 Finally create the VPN > Select your Virtual Network Gateway > Connections > Add. Give the tunnel a name > Site-to-Site IPSec > Select your Local Network Gateway (ASA) > Create a pre-shared-key (you will need this for the ASA config!) > Select your Resource Group > OK.
I’m using 9.9(2)36, VTIs are supported on 9.7, but as with all new things, I’d assume that was buggy and go for 9.8 or above. Where’s the Crypto Map? It doesn’t need one. There’s No ACL to Allow the Traffic, or an Interesting Traffic ACL? That’s correct, you don’t need any, (unless you apply an access-list to the the tunnel interface). Now create the VTI (Virtual Tunnel Interface) Note: 40.115.49.202 is the public IP address of the Virtual Network Gateway in Azure. Now create a group-policy and a tunnel-group, this is where you enter the pre-shared-key you created above. and/or certificate to complete authentication. Enable ISAKMP (version 2) on the outside interface, then configure the parameters that it will use. Note: If your outside interface is called something else like Outside or WAN substitute that! There are a couple of extra commands you will need, these are sysops commands. Their purpose is to set things globally, and are generally hidden from the config, (i.e ‘show run’ wont show them). These are recommendations from Azure. The first one drops the maximum segment size to 1350.The second command keeps the TCP session information even if the VPN tunnel drops. The last thing to do, is tell the firewall to ‘route’ the traffic for Azure though the VTI. Note: The last octet in the destination IP is different from the VTI IP! 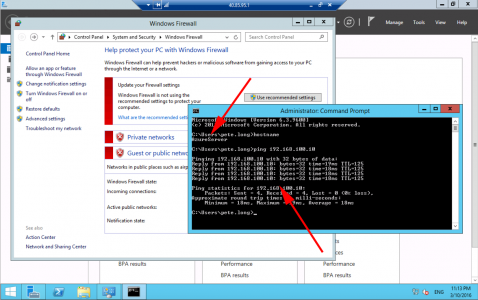 To test we usually use ‘ping’, the problem with that is, if you are using Windows Servers they will have their Windows firewall on by default, which blocks pings, (bear this in mind when testing). Also your ASA needs to be setup to allow pings, (try pinging 8.8.8.8 that usually responds), if yours doesn’t then configure your ASA to allow ping traffic. As mentioned above, you might want to turn the firewalls off to test. On the ASA the first thing to make sure is that the Tunnel Interface is up! Great article as always! 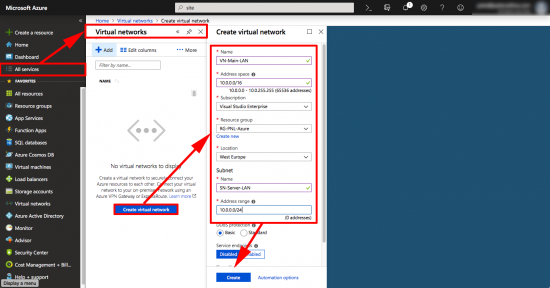 I have set few routed VPNs to Azure using other solutions such as Cisco routers and Palo Altos. I attempted using ASA to set it up but ran into issues so reverted it back to policy-based VPN. Logic says that Azure VPN Gateway subnet and subnet on which VTI is on should be the same. You are using 169.254.225.0/30 on ASA and 10.0.200.0/29 on the Azure end. So where is 169.254.225.2 assign to? 🙂 I am, If you look at the ISR post elsewhere on the site, I think it also uses a 169.254 address.169.254.225.2 is not assigned to anything, nor does it have to be. 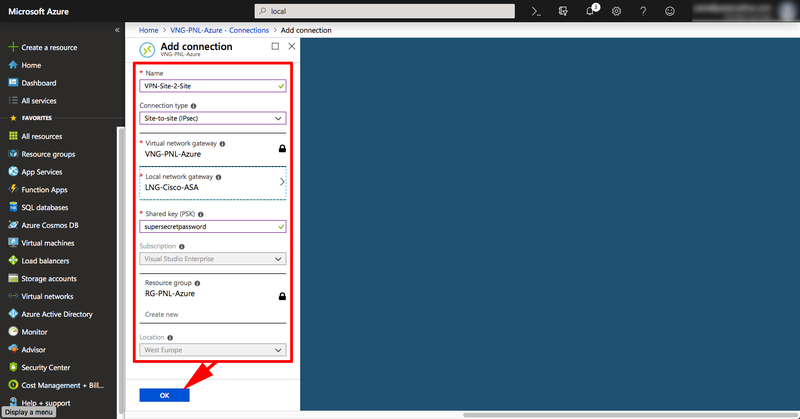 But it is, a valid IP on the subnet that My VTI is in, so the firewall will route traffic ‘Down the Tunnel’ to try and get to it, and the static route statement sends traffic destined to Azure to that address, so it will ’emerge’ within the Azure virtual Network gateway, ready to be routed to the correct destination address, after the packets enter the virtual tunnel 169.254.x.x is not needed any more. It’s like a GRE tunnel, see this post https://www.petenetlive.com/KB/Article/0000951 here I’ve got the SAME IP on both ends of the tunnel and it still works. It’s so dirty haha. If it works it works, but I wish it had to follow some networking logic. Maybe I just have to shift the way I think about VPN tunnels to Azure. 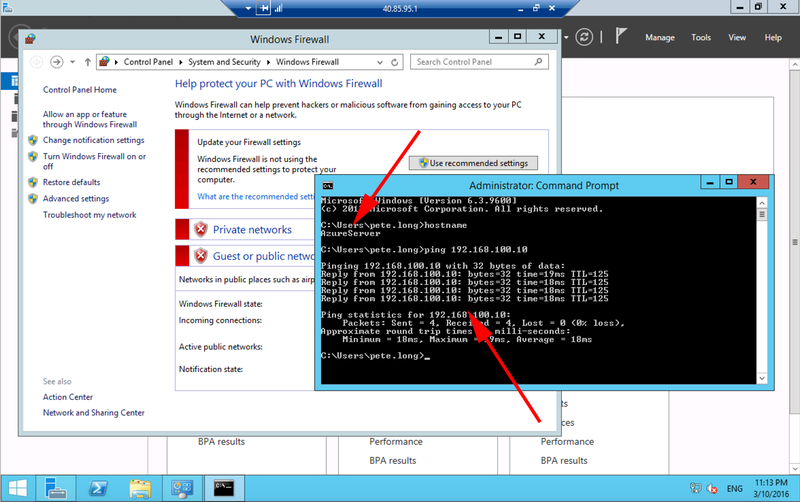 I am curious if you assign IP address on the ASA that is on 10.0.200.0/29 if the tunnel would work. 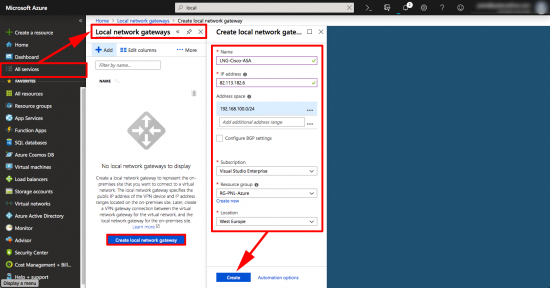 Of course that Gateway VPN Subnet is a mystery and it is hard to see what is actually taken on that subnet and what is available. 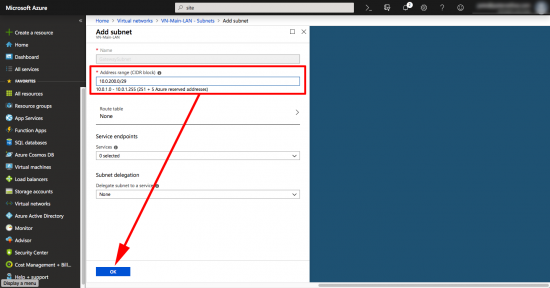 Possibly through Azure PowerShell that information could be retrieved. Once I catch some time I will test it. Yes it would work if you put an 10.0.200.0/29 address on it also, it’s not really an Azure thing it’s more a VTI/GRE thing. The tunnel is created between the public IPs, not the private VTI ones.